These days, sending an appealing business proposal is a breeze. Forget the horrible process of cobbling bits of old proposals and quotes together. A modern proposal management software turns it into a simple, painless process of sending quality proposals in less time. Having started as a freelancer myself, I’ve tried pretty much every software from Word to Bidsketch trying to find something that’d work for me and have a reasonable pricing tag. Some of the tools below were actually the reason why we’ve started building Better Proposals – our proposal management software. How do you choose the right proposal tool for you? This article is meant to help you make that decision. I’m going to break down the pros and cons of each of the 7 software solutions and 2 old school methods in a fair and even way. Although, I’ve tried to make it as unbiased as possible, you’ll still want to evaluate some of the solutions yourself but this will likely save you time evaluating something that was never right for you in the first place. Regardless of where you work, what your business is and how you send proposals, there’s something in here for everyone. We know from our own conversations with our customers what things are important to proposal software buyers. We’re going to use those things as a guide and review each of the major options fairly based on the same criteria. The first thing our product is going to be judged on is it’s design. We also know it’s the first thing your clients are going to judge you on, so we make it our number one focus. 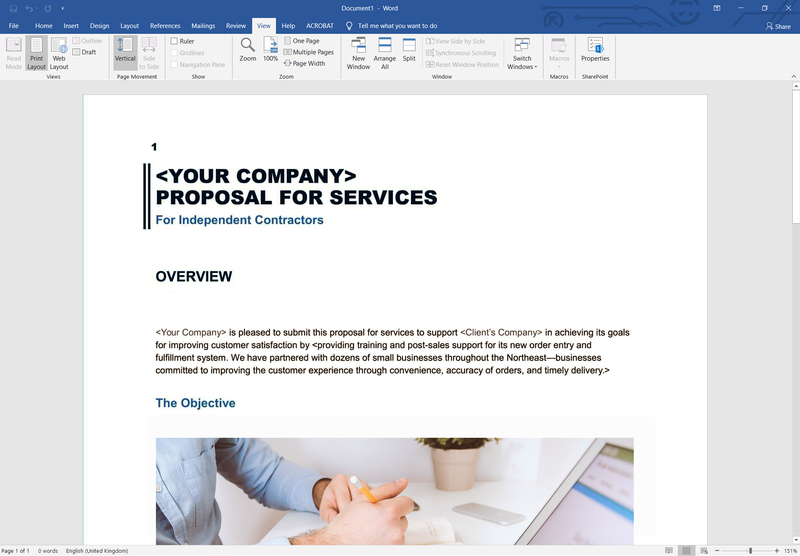 We start with the proposal viewer and editor and make sure you’re able to create world class looking documents with no design skill whatsoever. Better Proposals is priced for 3 levels of companies – freelancers, small businesses or agencies and lastly, high senders. We’ve designed our pricing to be the best value of anything out there. You get more with our plans than anyone else and that’s on purpose. It starts at $13/mo and goes up to $90/mo (on annual plans). We’re not for large companies and corporates. We don’t do demos, have sales teams and jump through hoops to win business. We grow on the strength of our product. The businesses we sell to are freelancers, agencies, service businesses and companies that send a lot of quotes. Every proposal sent through Better Proposals is completely responsive and will work on any device. That means no matter where your client is, they can read and sign your proposal, then pay. You can log into Better Proposals on the go too and re-send any proposals or access them if you need to see what’s in it while you’re out and about. Firstly is the simplicity of our product. Everything we do goes through this filter. It has to be dead-simple to use with no training. Everything should be natural and intuitive. Secondly, we believe selling is a human-to-human thing. It’s not a transaction at a supermarket or a shopping cart which is why one of our favourite features is our live chat integrations – this was a feature we built 2 years ago and it’s a crowd-pleaser. It enables you to communicate with your potential clients and answer their questions when they have them while they’re reading your proposal. No other proposal software does this the way we do. Lastly is the education we provide. From the proposal writing books we write to the proposal design videos we create to the real life proposals we review, we cover every possible method of teaching you how to get better at proposal writing and design. Currently we have 41 integrations available including Zapier. From Pipedrive to Zoho to Salesforce. The list is endless. It’s vital to us that you can connect as many of your favourite tools as possible to create the most automated solution possible. There’s over 100 templates available in the Template Marketplace. 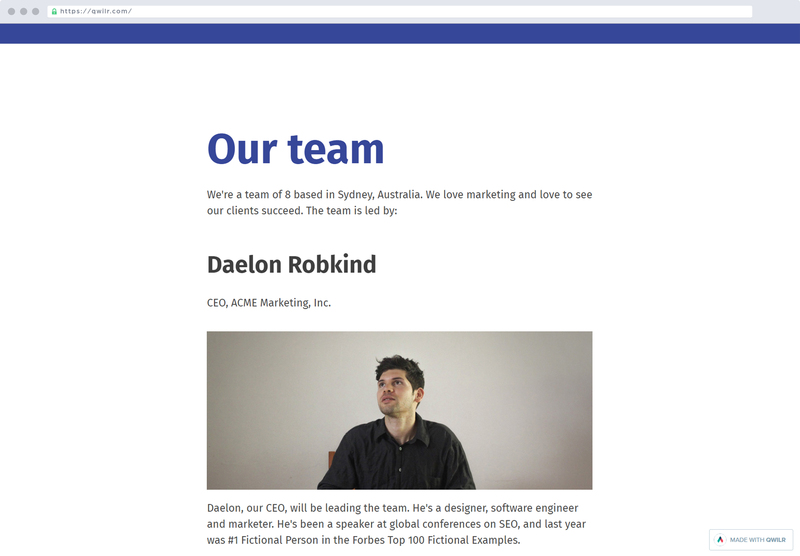 60 of which are proposal templates from a whole host of different industries. The other 40 or so are contract templates, brochure templates, statement of work templates and quote templates and client sign off templates. While our company is called Better Proposals, our software really is simple a better way of communicating with your clients. Common questions or recurring issues? The thing we get most questions about (being honest) is the PDF output looking different to the online version. If you think about it, this is obvious. The PDF is a fixed size whereas proposals in proper online proposal software are flexible and responsive. Nothing has a set size. We don’t get complaints about this, more just questions as to why it displays differently in some cases. If you’re using proposal software right now, there’s a good chance you could switch to Better Proposals, pay less and get more value. If you’re a large corporate, we’re probably not right for you. If you want a lot of follow up from sales people or prefer speaking to a person in order to make a decision then we’re probably not a good fit. If you prefer being left to make a decision in your own time then you’ll find our approach more comfortable. If you want some simple, yet powerful proposal software that helps you win more business and get paid faster, connects to your favourite tools and don’t want to pay a small fortune for it then we’re probably a great option. Get started with a 14-day free trial and see how you get on. This is where Bidsketch falls down somewhat. They haven’t kept up with design standards of even the last 10 years which for a customer facing product could potentially have a negative effect on your ability to win work. Bidsketch is priced pretty much in line with the other major players but lacks some of the features and design polish that justify that price. You’ll need to pay $29 to get a fully unbranded experience. Fair price but the design polish makes that a bit of a steep ask. It’s designed for and mainly marketed towards freelancers and web designers. Like any half-decent proposal software, you can customize the templates to suit any industry. It’s possibly down to the design being somewhat on the poor side but the mobile viewer (if you can call it that) is very uninspiring. If your proposal was opened on a phone it wouldn’t be presenting your business in its best light. 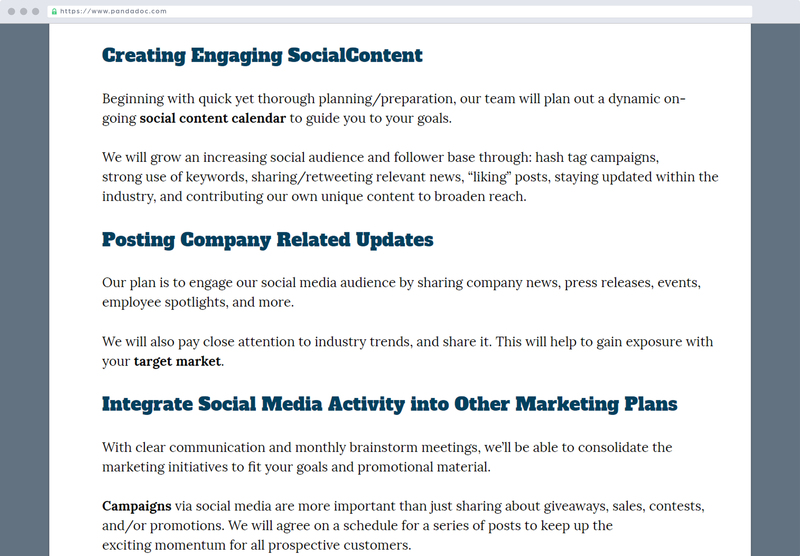 Looking at their website and marketing, the feature they’re still big on is the content library. This is standard across most proposal software these days and has been for years. They’re also massive on variables, or merge tags. Think of it like a mail merge. You create 1 proposal and when sending it, it automatically replaces the name, company name, etc. Both excellent, time-saving features when creating proposals but far from groundbreaking. Bidsketch is incredibly light on integrations. They seem to rely heavily on Zapier to expand their reach but in terms of proper, native integrations they have 6 with one of them being a side project of theirs. All their templates are written for the web, marketing and software industries. 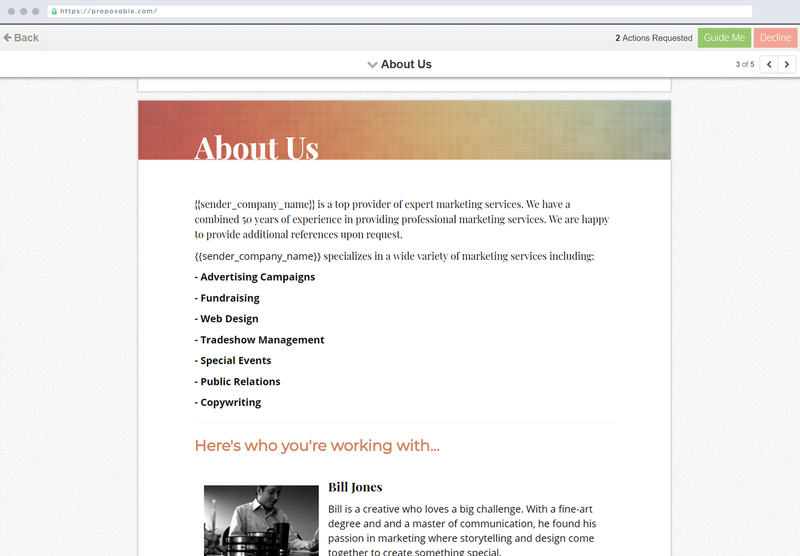 They don’t have much in the way of templates written for other industries, the design of the templates varies massively. They’ve given a reasonable amount of attention to some templates and not for others. From a sales perspective, many are questionable. Common complaints from review sites? It’s just old. What kind of complaints do you have about a 10 year old car that hasn’t been serviced? The major worrying complaint that pops up time and time again is the ‘Accept proposal’ button not working for clients. This isn’t something we’ve experienced personally but a quick look on any review sites and you’ll see it in all different shapes and sizes. We have a lot to thank them for. They were the pioneer of the proposal management software industry and they deserve the respect and success they’ve had. That said, they haven’t modernised the software and have been overtaken by younger and more hungry proposal software businesses. Proposify have in a lot of ways kept up with modern design standards to a point. Their software is appealing to look at and is nice and user friendly. Their proposal viewer (the bit your clients will look at) looks a little dated but as long as your proposal itself looks good then this shouldn’t be too much of a distraction. Proposify’s pricing has evolved considerably over time. It’s been the agency’s choice for years. Like any software business that is venture-backed, it’s normal for pricing to creep up from time to time to keep investors happy. That’s very much the case with Proposify. We have heard from several of their customers that they are switching to an annual-only pricing model. It starts at $30/mo but it’s $100/mo if you want an unbranded experience, any integrations or to take payments. It’s typically for designers that love tinkering. Their editor is incredibly involved. Think InDesign or Illustrator. It’s more of a designer than a text editor which will definitely suit certain individuals more. You can generally customize every part of every element on the proposal. This obviously gives you an amazing level of control which is great for perfectionist designers but naturally there’s a lot more decisions to make so it’s not best suited for busy people. While they have a Android and iPhone app, the proposals their customers send to their clients aren’t mobile friendly at all which is pretty fundamental in our opinion. It’s 2019 – not having a mobile friendly document in this day and age is simply non-negotiable. Their editor. It’s their pride and joy and for good reason, it’s incredibly detailed and involved. We have heard it can be a little buggy but that’s too be expected when it does so much. For people who don’t mind spending time on their proposals and enjoy controlling every single element you’ll love this. Proposify have a decent number of integrations. 15 at time of writing. They integrate with CRM software and invoicing software and have finally got round to integrating payments. While they do have the basics covered, the actual integrations themselves besides Salesforce are a little below par in places. It might suit some people perfectly though. Proposify have a lot of templates. 72 currently. Some of which are absolutely world class. Then they have some which weren’t given the same level of care and thought. If you’re in one of the lucky few industries that has been given the time and attention by Proposify then you’ll be a happy camper. If not, then you may want to get some professional assistance to bring the proposal up to scratch. The main complaint you’ll see is its lack of mobile support and buggy editor. It comes up time and time again. Occasionally you see people talking about slow support. We think this is a little unfair to be honest. Getting back to people within 24 hours is above average in most cases. We aim for 15 minutes response time 20 hours a day at Better Proposals but still, next day is surprisingly good in comparison to other software companies. On the whole, they have a great product with a great business. They were part of the golden age of proposal software and will be around for a good while until they’re snapped up by DocuSign or someone similar. It’s not the cheapest and can be buggy at times but in general it’s a great option. PandaDoc as a platform is a joy to use and looks great. Their branding is smart, professional and friendly along with all their customer facing material. 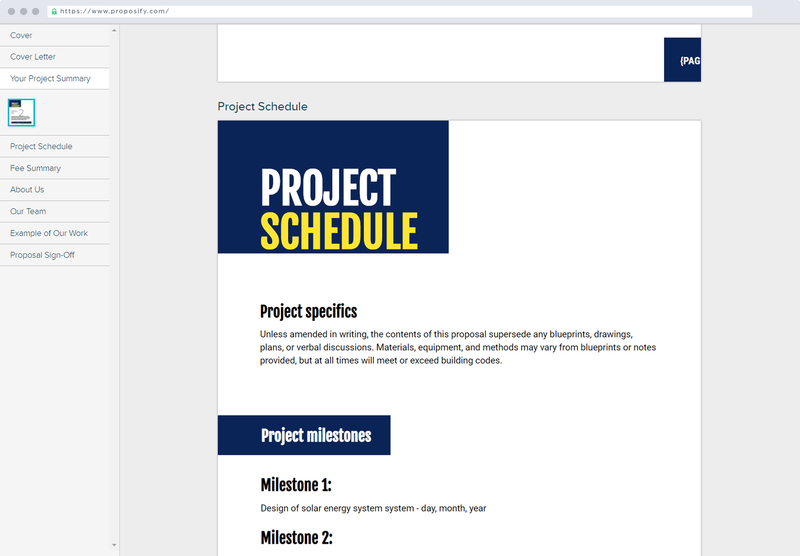 The proposals are along the same line, but if there is a drawback, it’s that they don’t look like much, every proposal built with PandaDoc looks like a regular document. There’s very little ‘wow factor’. It’ll never offend and will likely look better than anything done in Microsoft Word and for some businesses that might be perfect, but if you’re really trying to impress, it might fall short. PandaDoc’s pricing is somewhat of a mystery. They have pricing that ranges from $23/month but with so many limitations it hardly seems worth it. They have a range of plans but all of them have a PandaDoc badge on the final document which doesn’t seem ideal in some cases. The one really good thing about PandaDoc’s plans is they are mostly all unlimited documents and they simply limit the features. This follows the playbook perfectly for software companies selling to corporates, which brings us to our next point. Corporates and the Enterprise level. PandaDoc is really aiming to give some competition to DocuSign and is going after the document signing market but with a built in editor. There’s pros and cons to this. Pros being you know the software is solid because corporates don’t buy rubbish. The cons are that it’s designed for them and priced for them so if you want the best features you need to pay the high prices. In addition, the features that are built aren’t taking the small businesses into account as much as they would be the larger companies. PandaDoc, unlike Proposify has all it’s bases covered on mobile, it’s responsive in most cases so any client of yours looking at a proposal sent through PandaDoc will be able to read it. This is non-negotiable in this day and age. There’s nothing that jumps out about PandaDoc. It’s a good system across the board and does most things pretty well. Sometimes, it’s good to have a non-offensive, solid option and PandaDoc is definitely that. One of the benefits of having so much funding behind you and over 200 staff is you can spend the time building relationships with other software companies. PandaDoc has a huge range of integrations – 21 to be exact. Another area PandaDoc crush it are the templates. They have hundreds. Now, let’s not confuse quantity with quality here – most of them are very very weak from a sales perspective and are really just there to cover bases from an SEO point of view. The design of them is very elementary and is really, just a text document with little to no design flair. The biggest issue you see about PandaDoc is that they insist on having their branding on every single document sent. It’s also on any download or completed document. In our experience, having your own branding is crucial to presenting your business in the right light. It seems a fair trade-off if you’re using free software to be a walking advert but when you’re a premium paying customer? This might be okay but to us this seems a bit much. You’re not going to get fired for choosing PandaDoc in the same way no-one’s getting fired for choosing Salesforce. Is it the best? It might be for some businesses. If you’re a large corporate and have 200/300 sales people I can’t imagine how much it would transform a business like that. For a normal sized agency or business who want to impress their clients and save some time it’s probably a bit much. Qwilr’s design ability is almost unmatched in the proposal software industry. Classy, minimalist, modern – it’s everything you want in a proposal, so when your software provides practices what it preaches then you know you’re off to a cracking start! Not cheap by a long shot. They have several plans but there’s little point talking about anything less than their $79/mo plan as anything less simply doesn’t have the features required. If you want a completely unbranded experience then you’ll need to spend $3,000 a year with an annual commitment. Failure to do that will leave you sending your customers to yourcompany.qwilr.com for your proposals. It contains the ease of use to be suitable across the board, the features aren’t too heavy on the corporate side (like PandaDoc) and appeal to freelancers too with modern design so they appeal across the board but it’s clear with the pricing that they are favouring the bigger spenders. Absolutely superb. 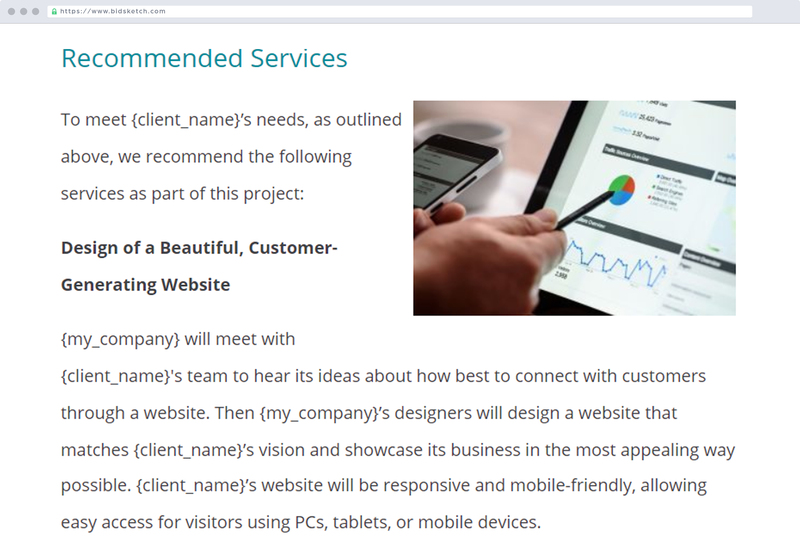 Client proposals will look smart on phones and tablets which is exactly how things should be. Qwilr definitely think of things in similar ways to us at Better Proposals – certainly when it comes to proposals being mobile friendly. Their design, it’s world class and while they’ve adapted their viewer to look similar to ours, they’ve done it in their own way. They’re certainly one of the front runners in the design department. Rather disappointingly, they only have 9 integrations which is incredibly low for a company of Qwilr’s stature. You’d think this would be something they put more effort into moving forward. With 50 templates, there’s certainly no shortage of design ideas. They all look outstanding so you’ll always look like you have your stuff together when pitching for work, at least from a design point of view. If there is a downside, it’s the content of the templates. It’s clear design is a major focus but there’s a significant issue with the content. It’s very very poor from a sales point of view. It’s unclear if it’s example content and not designed for use. Maybe you’re supposed to supply your own? Either way, it’s important to check the templates and consider bringing in a proposal writing expert to polish it up. The general consensus is it’s pretty buggy, lots of things are “90% there” which might be good enough for some. In fairness, people do seem happy with the workarounds. One chap said he spends a few hours making the PDF version upon request because it’s not up to standard but in his own words admits it’s not frequent enough to be a problem. In summary, they have thought about the problem in the right way in our opinion and their execution of the solution is pretty solid. Yes, it’s a bit buggy according to online reviews but of all of the options out there, it’s one of the better ones. The design of Nusii and their proposal viewer is pretty harmless. Like PandaDoc, it’s unoffensive but doesn’t exactly light the world up either. It’s unlikely to cause issues but could look better. It can look a bit 2004 in some places. It depends on the look you’re going for with your clients. If you make furniture, no issue. Websites? Not so much. Outrageously expensive for what it is. With plans starting at $29/mo that don’t include any integrations at all and no custom domain it’s not a good option for low senders. You are required to spend $49/mo to get a plan worth having. It seems freelancers and web professionals but then their pricing doesn’t seem to support the idea that they’re targeting those users. It’s sort of in the middle and for agencies but if you were in the market for it and you were a small to medium sized agency, you’d probably opt to go with Better Proposals or Qwilr because you’d get a more modern product and get more for your money in terms of features. Nusii appears to support mobile proposals which is great. They have automatic reminders which many of the others don’t. In truth, it’s something you can do easily by using any basic email marketing platform and Zapier but it’s cool to have it built in. It’s not praised much by reviewers so we have to wonder if it works well or maybe just isn’t as useful. They have gone “all in” with Zapier which is great they have Zapier but it’s not a true integration. They have no payment integrations, no live chat integrations, only 3 CRM integrations and 9 in total (including Zapier). Pretty poor showing in this department. Another poor show here. 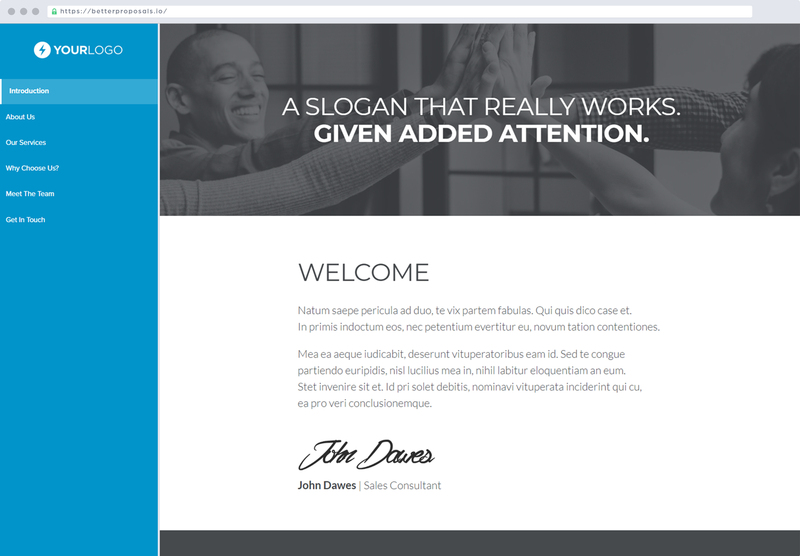 8 templates in total with the design and content being very very poor indeed. Much like with Qwilr we’d recommend a sales or proposal writing professional to look at any of these templates before you use them in the wild. There’s simply not enough to be useful here – you’d need to do almost everything by yourself. Buggy, poor templates, slow support, lack of integrations, no development on new features. Your money will be better spent elsewhere. Proposable has suffered from a lack of development over the last 4 or 5 years and their design has highlighted it like holding a stadium floodlight over an insect. The design wouldn’t look out of place in 2002. Good design isn’t something that comes naturally it seems but there are a few positives. Definitely on the high side. Their plans start at $39/user/mo and go up rapidly from there. What you get for your money appears decent, even on their lowest plan but the presentation of the software lets it down. It seems resellers. It would seem that their distribution model is to sell to resellers who then get in front of clients and get them over the line. It is unique and doesn’t appear to be a model used elsewhere. It’s hard to say how that transpires when interacting with the company and using their product. Non existent. The product is built on the idea that proposals are sheets of paper so when designing for a fixed size bigger than the screen of a phone, you’re going to have issues. It’s the same problem Proposify and Bidsketch have. They do offer a white labeled version of their product which is fairly unusual but seems to suit their distribution model. With only 9 integrations, there’s definitely more flexibility with some of the other proposal software options. They have 30 templates which is considerably better than some but not the biggest range. The quality of them leaves a lot to be desired too. It’s a 50/50 – some are pretty good, some are very weak indeed. Design-wise, they’re not awful but don’t have that modern design flair and the pop you’d expect them to have. Most of the reviews are from 2012 so it’s a little difficult to judge fairly. It’s just old. It’s not to say it wasn’t way ahead of its time, which we believe it absolutely was back in the day but times have changed and it hasn’t. If they were to relaunch it would be exciting to see what such an experienced founder could come up with but who knows if they’ll ever be able to catch the “big 4” of Better Proposals, Proposify, Qwilr and PandaDoc. None. There’s no design to a blank page so you’ll have to bring everything to the party yourself. It’s not free, but it might as well be as you probably have it on your computer already. We don’t believe anyone should be using Word to send proposals but if it was suitable for anyone, perhaps it would be a company selling a service that is very technical where maybe the principle sale was already done. It’s not super effective as there’s no tracking, no way of seeing who’s read what and no way to get it signed. It’ll look horrible opening any Word Document or PDF on a phone. Not only do you have to download the document first which would be a challenge in low signal areas but when you do download it, you’d need to “pinch and zoom” your way through it which if you’ve ever had to do that – is annoying to say the least. It’s not a feature, but you at least know how to use it – there’s no learning curve. None. You’d need to design and write it by yourself. Common complaints in general are you can’t sign it electronically, hard to get it looking right, you’ll spend your life formatting it, you have no idea when anyone’s opened it. The list is endless but you get the idea. It’s not a proposal tool, so naturally it’s no good for proposals. You start with a blank page just like Microsoft Word but you do at least have the ability to make it look nice and design it well if you have design knowledge. Starts at $49/mo if you don’t have it already. Designers. Anyone else won’t know how to use it. Awful. It’ll be exported as a paper-sized PDF which will naturally be a large file which isn’t great for mobile devices. You’ll then have to pinch and zoom your way through it. Not a nice hoop to make your client jump through. If you are a designer and it’s your program of choice then it’s going to be something you naturally know how to use so the fact that there’s no learning curve is a massive selling point. You also have 100% control over every design element. None – you’re starting with a blank sheet of paper each time. 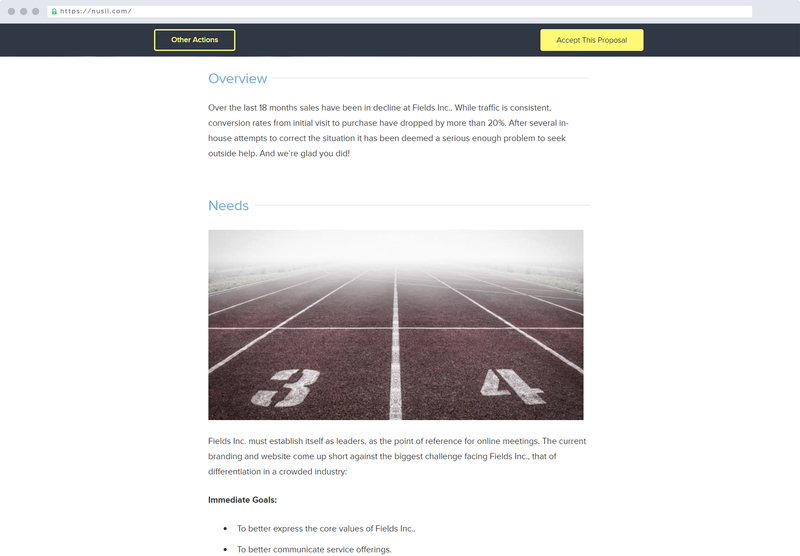 You can download templates for about $50 which is a starting point. None from review sites but from the perspective of proposal writing, it just takes too long, the output is outdated and poor, file sizes are too big, the formatting is a nightmare and the end result is like sending it into a black hole with no idea what happens after pressing send. 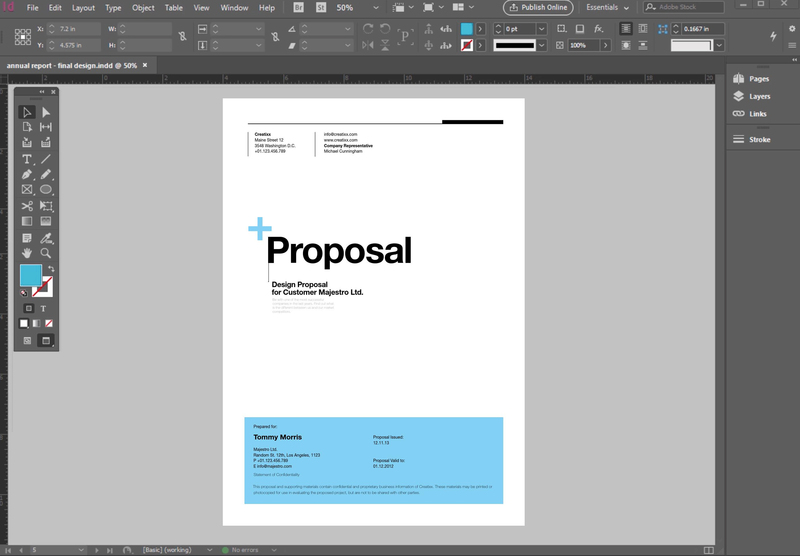 It’s a great design tool for print but it’s not a proposal tool and lacks the nuance of what makes a good proposal tool great. No electronic signatures, rubbish PDF output, no streamlining, not mobile responsive – it’s just not a suitable or practical proposal tool. 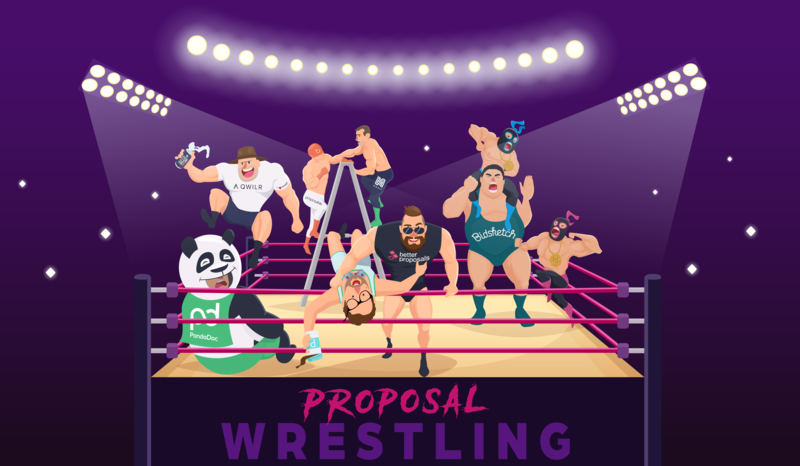 I’ve covered the 7 top players in the field of proposal management software as well as the two historically most popular methods of sending proposals in this post. Trying to be as objective as I can, I’ve evaluated their most prominent pros and cons. Still, you might want to check out some of them yourself but if you’ve wittled it down to 2 or 3 then you’ve saved some time there. If you are a freelancer, an agency or a service company of any sort, I think you’d get a lot of value from giving Better Proposals a spin. Better Proposals is built with one primary task and that is getting your proposals signed by your clients. Everything that goes into that from thinking about conversion, best practices, world-class design is what we obsess over as a company. We’re proud to be the default choice for freelancers, agencies and service businesses and a lot of the reason for this is our price point. We’re happy people buying our lowest plan and that being right for them. Got any questions? Feel free to drop them in the comments below.